Our snow is almost melted. However, last year we got another 24" in April so we are enjoying the sun while we can. 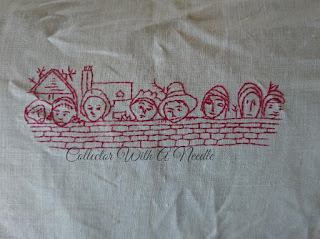 I liked this redwork spread when I saw it. The more I looked at the details I decided I had to have it. Why did I even contemplate not buying it?!? 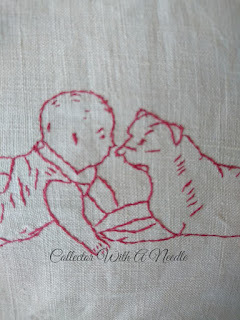 The fine stitches are on a wonderful linen fabric. Each block is outlined in a gorgeous feather stitch. 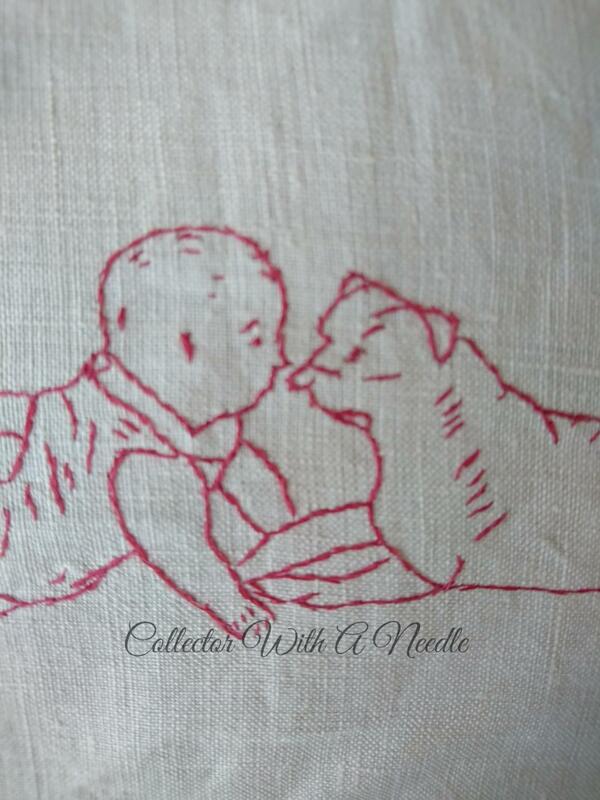 This baby and dog is one of many sweet blocks. "Best Friends" would be a good caption for this one. The designs are so clever, they deserve captions! This one might be one of the hand drawn designs. 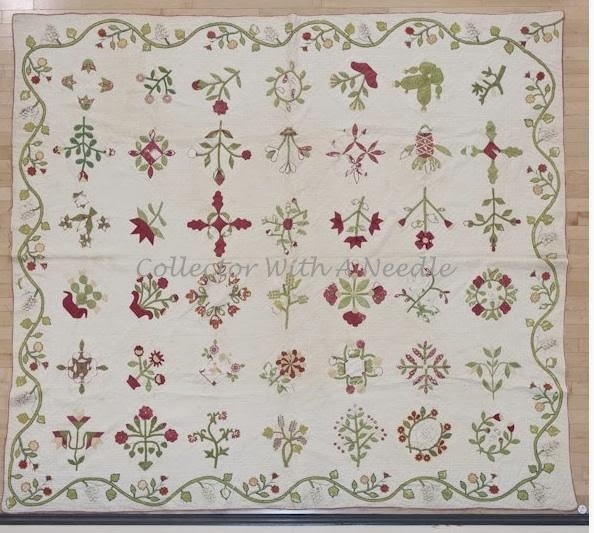 It is one of the only blocks with some light wear in the embroidery. 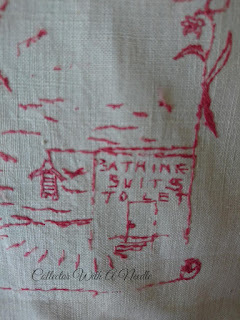 I've never rented a bathing suit - have you? The figure in the striped suit wading into the waves is so sweet. Maybe the water was cold that day. How about something like, "The things we do with friends"
A back story...They went out to lunch and decided they couldn't resist a dip in the ocean? Maybe the neighbors stopping by to checkout the garden? 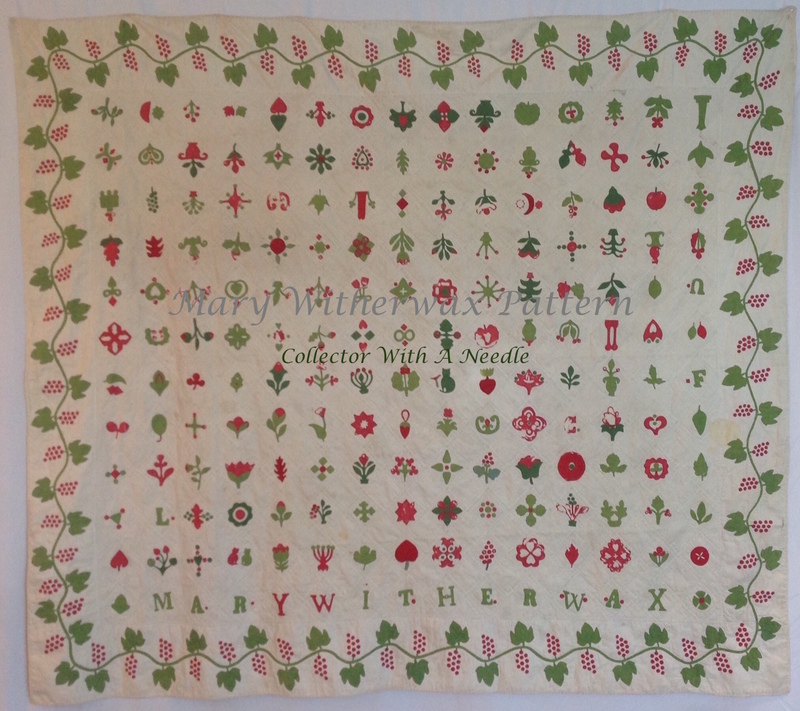 The coverlet is dated 1890 and has some references to Boston and Salem. 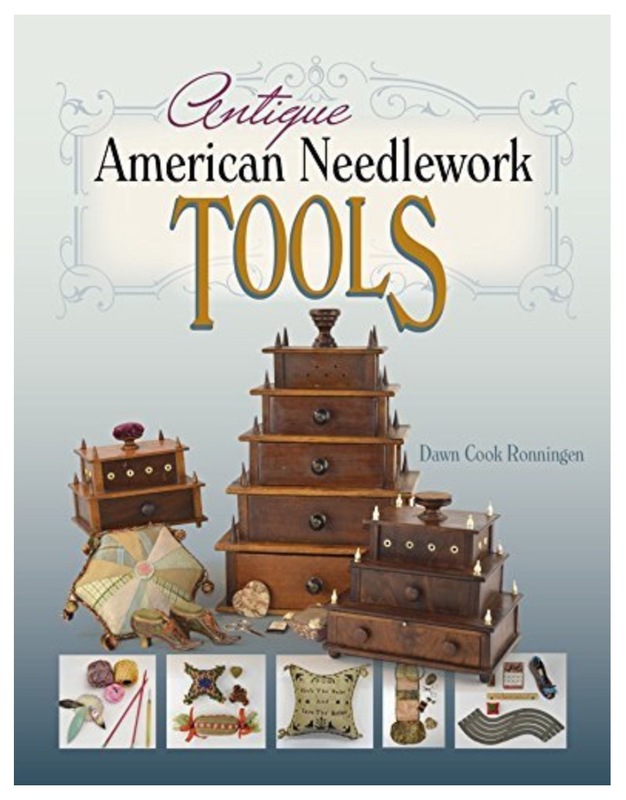 Fascinating designs! I can see why you couldn't resist. As to renting a bathing suit, when we had swim days in junior high P.E. classes we had to wear the school's suits. So though we did not pay to use them, we were using "public" suits, so to speak. 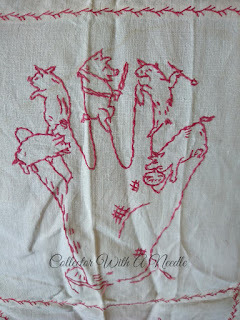 These are just darling - such original designs and I love the little piggies. You are right, how could you NOT buy this!! 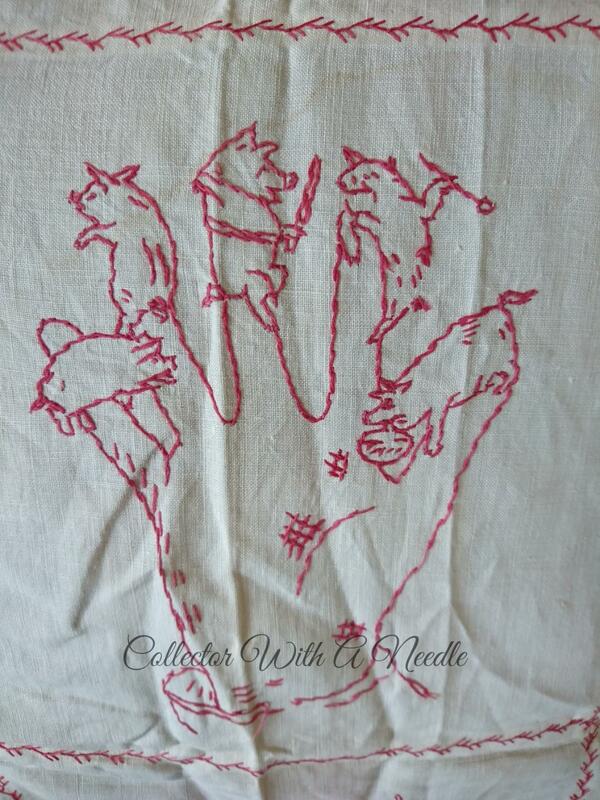 I am going with “this little piggy” in that last precious redwork block. 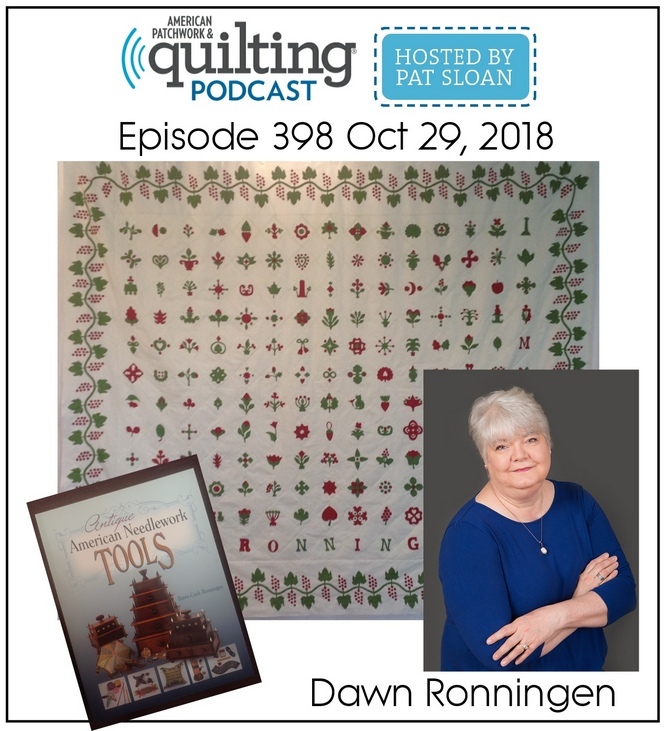 I love redwork and have a number of books featuring this type of quilt...have never seen these designs before, so unique and I can understand why they just had to come home with you! What sweet blocks. I would say "This Little Piggy" but their activities do not support the rhyme. I might say it was the story of Pigling Bland (Beatrix Potter) but that wasn't published until 1913. I think I would title the one with the faces, "Good Fences Make Good Neighbors"! Love these blocks. 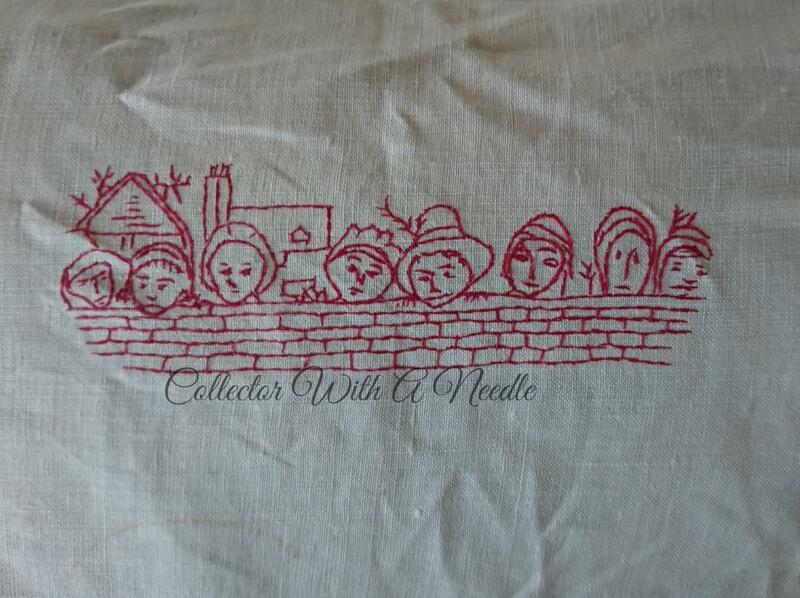 I buy redwork whenever the price is right, and have both blocks and completed tops, as well as the pillow covers. I have never seen these blocks, how unique. 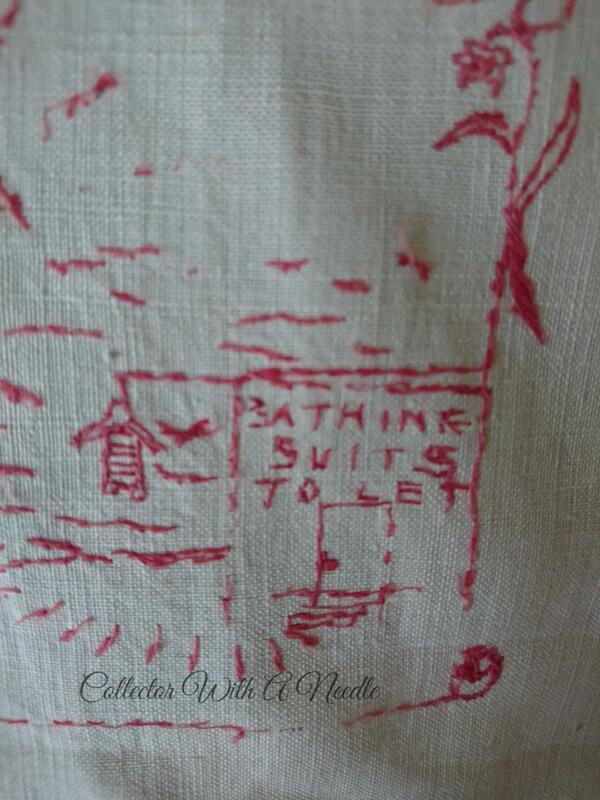 I don't see textiles in the antique shops like I used to, I think the prices are down and dealers don't bring them out.